ElevArte Community Studio presents its annual La Pozolada celebration. At La Pozolada there will be dozens of mouth-watering red, white, and vegetarian pozoles made by local residents and local restaurants all competing for the 2013 Cuchara de Oro Award. Guests will have an opportunity at the end of the night to cast their ballot and vote for their favorite pozole. 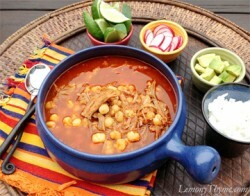 The winner will receive $100 from La Preferida and the title of best pozole. All proceeds from La Pozolada go to providing free high quality arts programming impacting 4,500 youth and families year-round. La Pozolada will take place Saturday, Dec. 7th from 6p.m., to 10p.m., at Local 399, International Union of Operating Engineers, 2260 S. Grove St. Ticket prices: $50 and can be purchased at www.elevartestudio.org or call 312-226-7767.